It’s time to milk fast-fashion retailer H&M for all it’s worth. 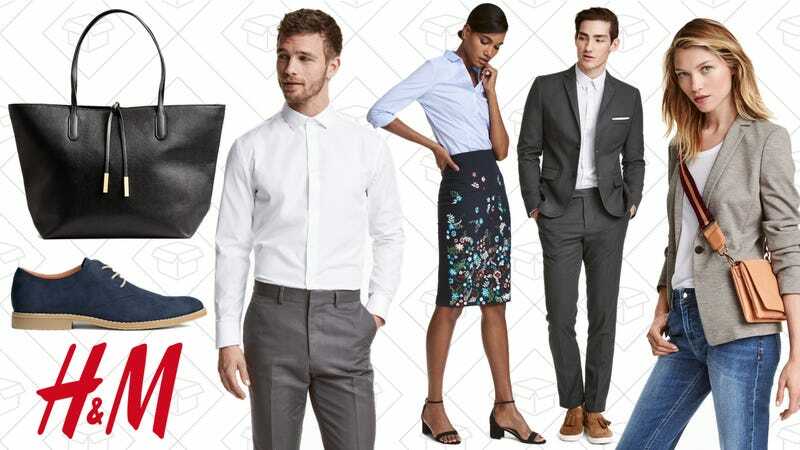 With 50% off work essentials for men and women, premium quality and higher-end pieces are marked down to help you look snazzy for your job. Think blazers, leather derby shoes, messenger bags, and more. It’ll be easy to look good and feel good with how much money you’ll save. Inflatable loungers, 30% off baby gear, and the original Apple Watch lead off Friday’s best deals.